Situated in Tegalalang Village north of Ubud, Bali featuring amazing rice terraces set up on cliffs. These famous rice paddies involving the subak (traditional Balinese cooperative irrigation system), which according to history, was passed down by a revered holy man named Rsi Markandeya in the eighth century, are a joy to behold. Tegallalang forms the three most splendid terraced landscapes in Ubud’s shared region, with the others being in the villages of Pejeng and Campuhan. We will enjoy a privately led hike and ceremony in this epic natural wonder together as a tribe. Goa Gajah ‘Elephant Cave’ is an archaeological site of significant historical value that makes it a special place to visit. Located on the cool western edge of Bedulu Village, six kilometres out of central Ubud. An 11th century cave used by monks and was named for the statue of Ganesh found inside. A few minutes drive from Goa Gajah is Tampak Siring, a holy spring temple known as Pura Tirta Empul. Goa Gajah dates back to the 11th century, built as a spiritual place for meditation. The main grounds are down a flight of steps from the roadside and parking area, which is lined with various art and souvenir shops and refreshment kiosks. Upon reaching the base you will come across a large ‘wantilan’ meeting hall and an assortment of large old stone carvings, some restored to their former full glory. The pool, excavated in 1954, features five out of supposedly seven statues depicting Hindu angels holding vases that act as waterspouts. Various structures reveal Hindu influences dating back to the 10th century, and some relics feature elements of Buddhism dating even earlier to the 8th century. The cave is shallow; inside are three stone idols each wrapped in red, yellow and black cloths. Black soot lines the cave’s walls as result from the current-day incense burning. Several indentations show where meditating priests once sat. The northern side of the complex is dominantly Buddhist while south across the river it’s mostly Shivaite. At the southern end are beautiful rice fields and small streams that lead to the Petanu River – another natural site entwined in local legends. Goa Gajah was built on a hillside and as two small streams met here forming a campuhan or ‘river junction’, the site was considered sacred and was built for hermetic meditation and prayers. The Sacred Monkey Forest Sanctuary of Padangtegal is dedicated to educating people about the importance of conserving cultural resources. The monkeys within the Sacred Monkey Forest Sanctuary of Padangtegal are commonly called long-tailed macaques. Their scientific name is Macaca fascicuiaris. Macaques are found throughout Southeast Asia and many species of macaques live successfully in areas that are heavily utilized by humans like they do in Monkey Forest. Interestingly, within long-tailed macaque societies, females are typically born into and remain with a single troop for life. In contrast, adult males may migrate between troops. 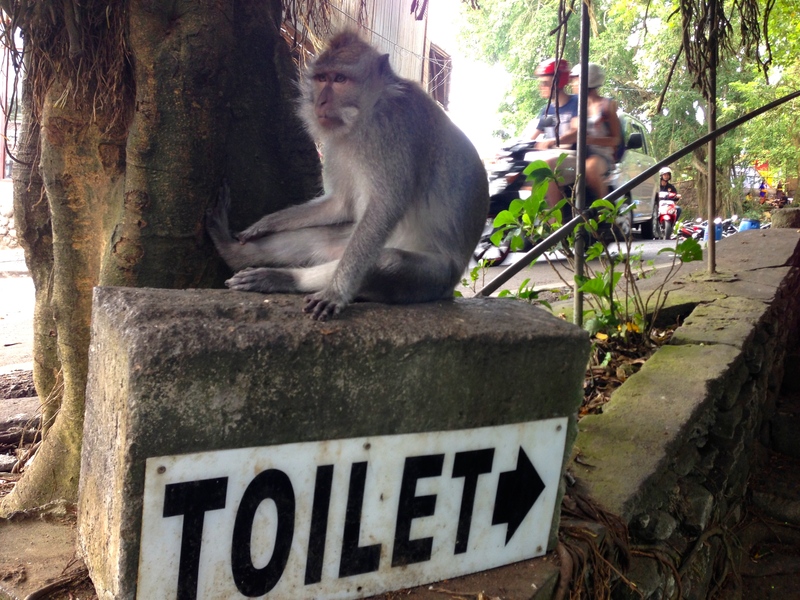 Currently, there are approximately 600 Balinese long-tailed macaques that inhabit the Sacred Monkey Forest. The cultural importance: Jai Hanuman! Monkeys can be the embodiment of both positive and negative forces. The dual nature of monkeys is especially reflected in the Ramayana (the most important epic Indian poem). Within the Ramayana, Sita (the beloved bride of Rama) is abducted by Rawana (an evil king). Rama (an incarnation of Dewa Wisnu) calls upon Sugriwa (king of the monkeys) and Hanuman (Sugriwa’s General) to help him retrieve Sita. However, within the Ramayana, there are also antagonist monkeys like Subali that attempt to assist Rawana. In the end, Hanuman, along with his monkey army, defeats Rawana’s evil forces and helps Rama to retrieve Sita. The Temple inside Monkey Forest represents a sacred Balinese Hindu site. In trying to understand Balinese Hinduism it is important to keep in mind that Balinese Hinduism is unlike Hinduism practiced in other parts of the world today. Balinese Hinduism combines aspects of Animism, Ancestor Worship, Buddhism, and Hinduism. Some of the first evidence of extensive human inhabitation on Bali dates back to approximately 2,500 B.C. 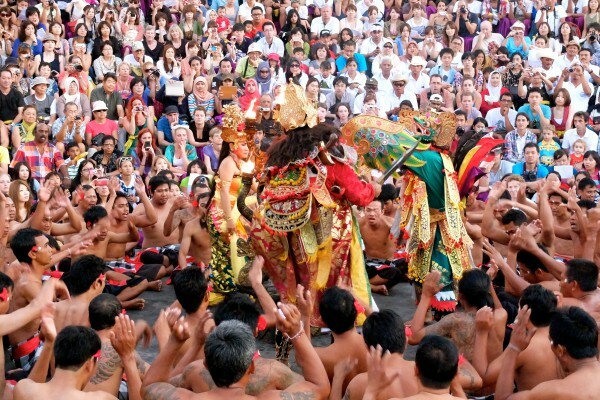 The religion of the Bali Aga (original Balinese) centered around both Animism and Ancestor Worship. Ancestor Worship represents the belief that prosperity is associated with a relationship that exists between the living and the dead (prosperity is something that can only be achieved through intense worship and obtainment of blessings from ancestors). Animism represents the belief that inanimate objects and other elements of the natural landscape can possess souls which can help as well as hinder human efforts on Earth. The Sacred Monkey Forest Sanctuary, in conjunction with Udayana Univeristy in Denpasar have identified 115 separate species of trees. Some of these trees are considered holy and are used in various Balinese spiritual practices. Examples include the Majegan, which is used exclusively for the building of shrines; or the Berigin, whose leaves are used in cremation ceremonies. Of special significance is the Pule Bandak, a tree that embodies the spirit of the forest, and is used in the making of powerful masks. These masks are only used inside the temple, and the trees are not killed to make them. An auspicious day is chosen and the Priest asks permission of the tree spirit to cut a small piece of its wood. The spirit thus remains embodied in the mask. This combination trip includes Monkey Forest where we will feed the monkeys, visit the Temple, feel the vibration of the Trees. It will be a wonderful photo taking opportunity. On that day we ask that you remove your sunglasses or anything that can be taken by a monkey. Wear a closed purse or bag and know that if you carry bananas the monkey’s will find them. This experience provides a healing ritual and understanding to the magical mysteries of Balinese spirituality. Water is believed by the Balinese to be one of the key forces of life. For this very unique spiritual experience, we have established a collaboration with a Holy Water Temple located in the outskirts of Ubud, that carries a mystifying and ancient energy. Upon arrival, you will be provided with a ceremonial sarong and a space to change your cloths at a nearby venue. After, you will be escorted for a guided tour of the beautiful peace and quiet of this Ancient Site prior to the ceremony, where you will learn the history that is held on these sacred grounds. After your tour of the temple, the Ceremony will be conducted by a Mangku (Balinese Priest). While sitting in meditation the priest will prepare some holy water in a vase with flowers and incense while chanting mantras in ancient Sanskrit. Following the mantras, you will be invited to receive a holy water cleansing as this blessed water is sprinkled over your head. You will then be guided into the sacred water pools where several Koi fish swim and live. Once you are emerged in the sacred pools, it will be requested that you bow down before each spring, putting your head under the stream of water. head) as the purification of the tirtha. After, you will also consume the water three times as a symbol of spiritual purification. This will create a full sensation of the body receiving a ‘holy bathing’. After the ceremony, you will be invited to change your clothing where a healthy, high vibe lunch will be served. Post lunch we will have a closing ceremony in the Yoga Studio including meditation, group sharing, journaling and mantra. Afterwards, you will have free time to either enjoy the swimming pool, spa or visit the traditional town. Brought to the attention of European archaeologists in 1925, the 13th century Yeh Pulu reliefs were uncovered along a small cliff area just 5 minutes walk through the village and rice fields from Ubud Dedari Villas. Special because it represented an artistic revolution for its time, the carved cliff shows scenes from every day life (including hunting, horse riding and drinking alcoholic beverages) as well as mythological and princely figures, a new style from the Majapahit of Java. The local council or “banjar” may charge a very small fee for entrance to the rice field walk which leads to the ravine, but it is well worth the price to see the 25m stretch of intricately carved rock face. The intrepid (or anyone willing to hire a guide) can also follow the path through to the centuries old statue of Ganesh that rises from the fields. If the priestess caretaker is present when you arrive, she will offer to bless you with holy water – and why not accept the blessings of Bali, Island of Love? I am so looking forward to being blessed by the smallest, most radiant holy woman with #tirta (holy spring water). We will be overcome by pure love when she places a frangipani flower in our hair. All under the gaze of an ancient Ganesha. Experience the impressive traditional Bali Kecak and fire dance inspired by the epic of Ramayana. Learn about the history and culture of the island through dance performance. Normally music plays a vital role to accompany the dancers movements. But in the Kecak Dance, the music generated is from a combination of sounds by the 50-100 or more men sounding like “cak.” They sit in concentric circles, swaying, standing up, lying prone as the story develops. A person will act as a leader who gives the tone early, someone else acting as a suppressor in charge of high or low tone, someone else acting as a solo singer, and someone else will act as the mastermind behind all of that to deliver the story. The story is a fragment from the Ramayana, the Hindu epic which finds its expression in many forms, not only in dance, but also in painting and carving. Prince Rama, heir to the throne of the kingdom of Ayodya, and his wife Sita have been banished from the kingdom by King Dasarata as a result of trickery by Rama’s stepmother. The story begins with the arrival of Rama and Sita accompanied by Rama’s brother Laksmana in the forest of Dandaka. The trio have been observed by the demon Rahwana, King of Alengka, who lusts after the beautiful Sita. Rahwana sends his prime minister Marica to try and isolate Sita so that Rahwana can kidnap her. Marica’s magical powers turn him into a golden deer and he enters the forest and when the Sita sees the golden deer she is so enchanted by it that she asks Rama to capture it for her. Rama chases after the deer leaving his brother Laksamana behind with strict instuction to protec Sita. When Sita thinks she hears a cry for help from Rama she forces Laksamana to go after Rama by accusing him of cowardice and he goes off to help Rama with great reluctance after drawing a magic circle on the ground and telling Sita the she should not under any circumstance step out side the circle. Sita, left alone in the forest becomes an easy prey to the trickery of Rahwana who has disguised himself has an old priest and begs Sita for some food as he is cold and hungry. Sita falls for his trick, she steps outside the circle to give the old priest some food and rahwana grabs her and takes her to his palace. Once back in his palace in Alengka, Rahwana tries everything he can to seduce Sita without any luck. In the palace of Alengka, Sita pours out her heart about her cruel fate to Rahwana’s niece Trijata, when Hanoman appears telling her that hi is Rama’s envoy and proving it by showing her Rama’s ring. Sita gives Hanoman a hairpin to show she is still alive and sand him back to Rama with a massage to come to her rescue. In the meantime Rama and Laksamana accompanied by Tualen are wandering in the forest looking for Sita when Meganada, Rahwana’s son, appeares and engages Rama and Laksamana in Battle. Meganada uses his magic powers and shoots of an arrow which magically turns in to a dragon which overpowers Rama and Laksamana and they are trussed up in ropes. The bird Garuda, King of all the bird, a good friend of King Dasarata, has observed trouble Rama is in from high up in the sky and comes to the rescue freeing the brothers from the ropes. Rama and Laksamana continue on their way to rescue Sita and are joined by Sugriwa, king of the monkeyes, and his monkey army. This fragmen of the Ramayana come to an end with the bittle between Sugriwa and his Monkey Army and Meganada and his Demon Army which ends with the defeat of Meganada. We will enjoy a tour of an ancestral home, learn why it is organized as such and what the meaning is behind everything. You will learn how to make traditional Balinese offerings. And we’ll enjoy an incredibly generous dinner buffet with private Traditional Balinese Dance. The performance is a dance-drama telling stories and expressed through elegant movements detailed all the way into the gestures of eyes, fingers, head and hands. These mudras are learned early as Balinese children are taught to dance with their hands even before they can walk! In December 2015 UNESCO recognized 3 forms of Balinese Dance as “intangible cultural heritage.” This is sacred moving meditation at its finest. In this dance tradition the practice is an offering to ask protection from the gods and ancestors so they may have peace and harmony. Consider this a blessing. While at Agung’s home you’ll be treated like family and never want to leave. 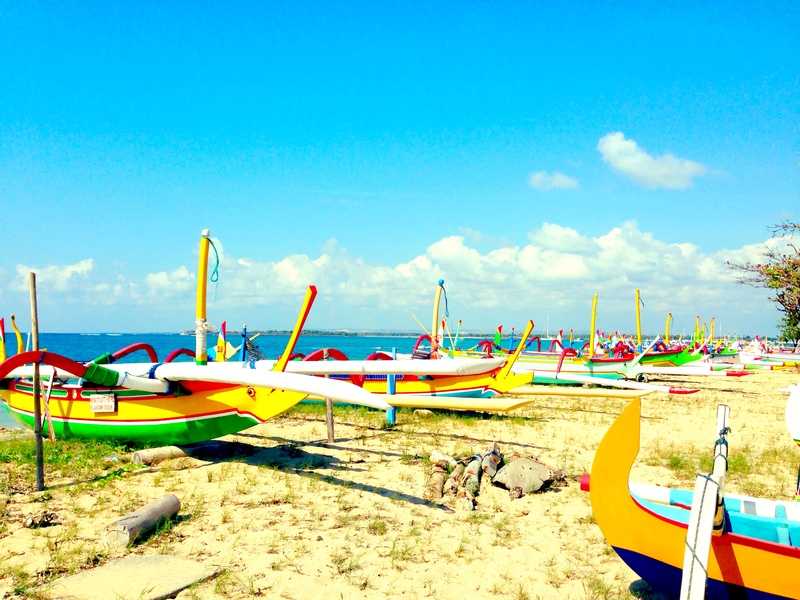 Scuba Diving and Snorkeling We wholly support and trust Balifornian Tours through Bali Floating Leaf as experts. Diving in Indonesia is perhaps the best in the world. Did you know that Indonesia is the most biologically diverse country in the world? It has more sites in CNN’s 10 best dive sites than any other country (4, no other country has more than 1). Indonesia is the heart of “The Coral Triangle” and can proudly claim over 20% of the world’s coral reefs, the most marine diversity on the planet, the most macro sea life, over 600 species of coral, more than 3,000 different fish species, volcanic sea mounts, deep water trenches, World War II wrecks, and more. Floating Leaf can get you to Bali’s premiere dive spots in style and comfort. Please click here for more details and information.